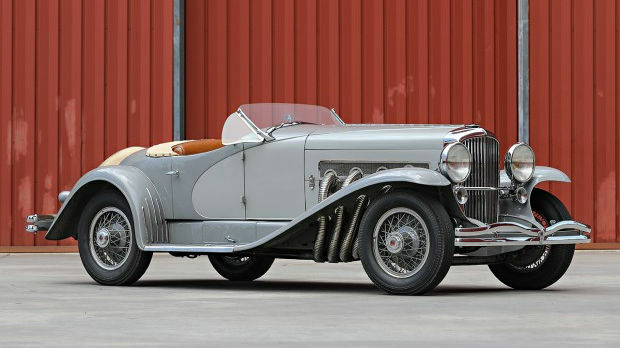 A 1935 Duesenberg SSJ that originally belonged to Gary Cooper is offered at the Gooding Pebble Beach 2018 classic car auction. Estimate: above $10 million. One of the greatest American pre-war classic automobiles, a 1935 Duesenberg SSJ, will be one of the headline cars for the Gooding Pebble Beach 2018 sale. This Duesenberg is one of only two SSJ models ever built and originally belonged to Gary Cooper. It was later a centerpiece in Briggs Cunningham’s museum in Costa Mesa before it was acquired for the Miles Collier Collection in 1986. The Duesenberg SSJ is expected to achieve in excess of $10 million, which would place it among the four most-expensive American cars ever sold at public auction. 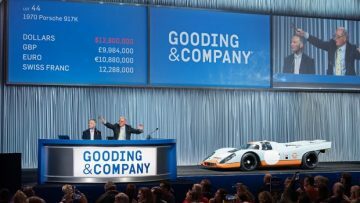 Gooding & Company, the official auctioneer of the Pebble Beach Concours d’Elegance®, will have it annual Pebble Beach classic car auction on 24 and 25 August 2018. 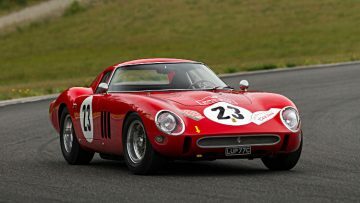 The auction is at Equestrian Center, Pebble Beach, California, USA, during the annual Monterey motor week that is held in 2018 a week later than usual to prevent a clash with a major golf tournament. In 2017, Gooding earned $91.5 million with sell-through rate of 81% – 110 of the 135 lots on offer sold. 22 cars achieved a million dollar with two of these over $10 million. A new marque record of $14,080,000 was set by a 1970 Porsche 917K that was used in the filming of Steve McQueen’s Le Mans. In 2016, Gooding set a company record when $129.8 million was earned by selling 115 of 138 lots (83%). 26 cars achieved over a million dollar with four selling for over $10 million. The 1935 Duesenberg SSJ, chassis J-563, is one of only two Duesenberg SSJ models ever built, and was constructed on a specially shortened 125-inch wheelbase. The two cars were immediately destined for Hollywood’s biggest superstars of the day – this SSJ, chassis J-563, went to Gary Cooper and the other SSJ, chassis J-567, went to Clark Gable. Gary Cooper had a lifelong love of cars – particularly fast ones. The SSJ is not a car for the faint of heart, as a 400-hp supercharged twin-cam inline 8-cylinder engine lies beneath its impressive hood. With an ultra-rare twin-carburetor intake, this car produced 80 hp more than the standard Duesenberg SJ, which was already the most powerful and one of the fastest production cars of its day. The SSJ Speedsters sported a gorgeous lightweight open-roadster bob-tail body produced by LaGrande (Central Manufacturing Company), an Auburn subsidiary in Connersville, Indiana. Quite simply, it is widely regarded as the ultimate Duesenberg. Following Gary Cooper’s ownership, the SSJ then passed through a string of fascinating California owners, from a 20-year-old millionaire in Los Angeles to an industrial designer in San Francisco. In 1949, the SSJ was acquired by pioneering collector D. Cameron Peck of Evanston, Illinois. Peck, sold the SSJ Duesenberg to fellow collector and famed sportsman Briggs Swift Cunningham, who immediately jumped at the opportunity to acquire this car. The SSJ was a centerpiece in Briggs Cunningham’s famed museum in Costa Mesa, CA for many years. Since 1949, J-567 has been in the hands of just two caretakers: Briggs Swift Cunningham and Miles Collier, among the greatest names in car collecting. This timeless automotive treasure, with its mythical story and exceptional provenance, will always remain in the pantheon of the greatest collector cars. The SSJ comes to sale from the Miles Collier Collections. 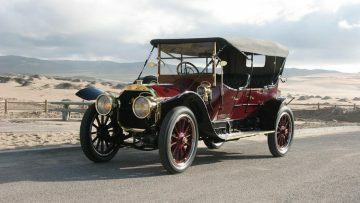 “The Collier family is one of the great leaders and innovators in the history of automobiles. Miles Collier has made it his life’s work to educate and promote the understanding of the role of cars in our lives. He has also curated an extraordinary collection of classic and groundbreaking cars. 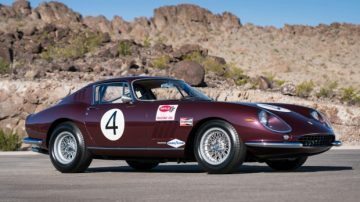 The Miles Collier Collections are unmatched and that is why it is such a remarkable event that he would present one of his most admired classic cars for auction,” says Gooding. If the 1935 Duesenberg SSJ achieve a result “in excess of $10 million” it will be only the third American car to have ever sold for more than $10 million (nominal) at public auction – out of 43 cars that have achieved that mark to date. The first American car to have sold for over $10 million was a 1931 Duesenberg Model J Long-Wheelbase Coupe that achieved $10.340,000 at Gooding Pebble Beach 2011. This is also the oldest car to have reached this price level and one of only five pre-war cars to have sold for over $10 million. RM Auctions sold a 1968 Ford GT40 Lightweight for $11,000,000 at the Monterey 2012 sale. 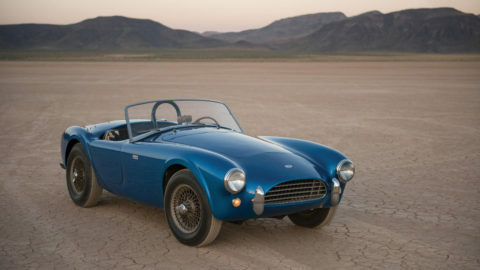 The most-expensive American car ever sold at public auction was the original Shelby Cobra – the 1962 Shelby 260 Cobra CSX2000 that sold for $13,750,000 at the RM Sotheby’s Monterey 2016 sale.